Father's day is one of my favorite day's of the year. It's a date dedicated to acknowledge the role of fathers in a family. Often in the dynamics of family, we often see the mother as a role who puts in a lot of effort, but if you look into any happy family, you can see that the key to it is that they have both amazing fathers and mothers. "What you think about your father and what is his greatest strength"
"My father is a policeman. The right way to say it is that he is a strict policeman. Lost his father (my grandfather) at a very young age and he was brought up by his 3 sisters and a single mother. His whole life has been dedicated to them even until now. 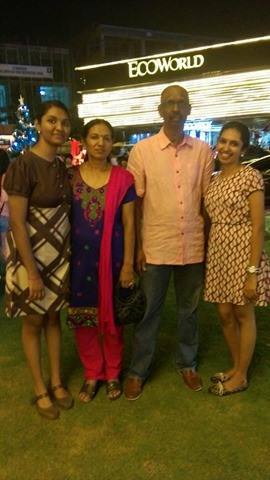 My father realized one thing, only education can bring up a family and he believes in that strongly. Even though he couldn’t persuade his higher education, but that didn’t stop him from learning. He loves to read newspaper and read books. This is where my father stand. His general knowledge level is very high. Nothing beats his knowledge on world history, economics and politics. This is what he have nurtured in me since I was young. Education is very important. You can’t bring up a family if you are not educated especially in country like Malaysia. Whatever he said is totally true. If I am standing here today, it is because of him. I believe that what I have become is from what my fathers thought me at odd moments. He wasn't trying to teach me, but was trying to mould me with little scraps of wisdom. My father gave me the greatest gift anyone could ever had, he believed in me. 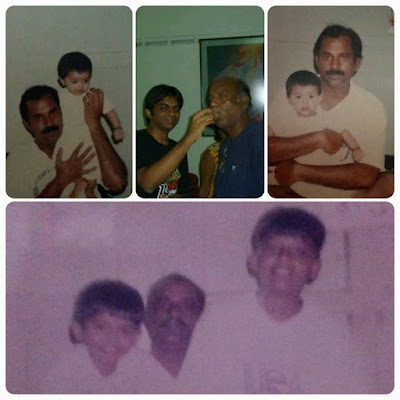 Happy Father’s Day Appa. Thank you for being a caring dad and understanding me. 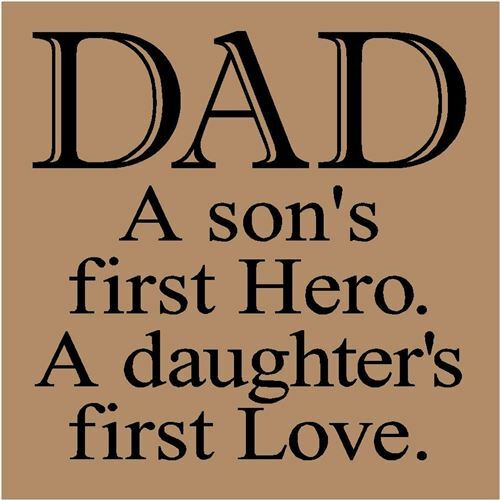 Love you Appa." "What do you think about your father? God and I, we live under one roof. I call him Appa. Being a man who lost his father as young as 6 and has not felt what is like to feel the love of a father, my father is a champ! There is only thing he has done selfishly; to pray that we(his children) never have a reason to weep. 40 years of working tirelessly to provide the best for his family and having his life revolve around his family and only family is no easy. Till date, I have not even witnessed him getting a new shirt for an occasion. 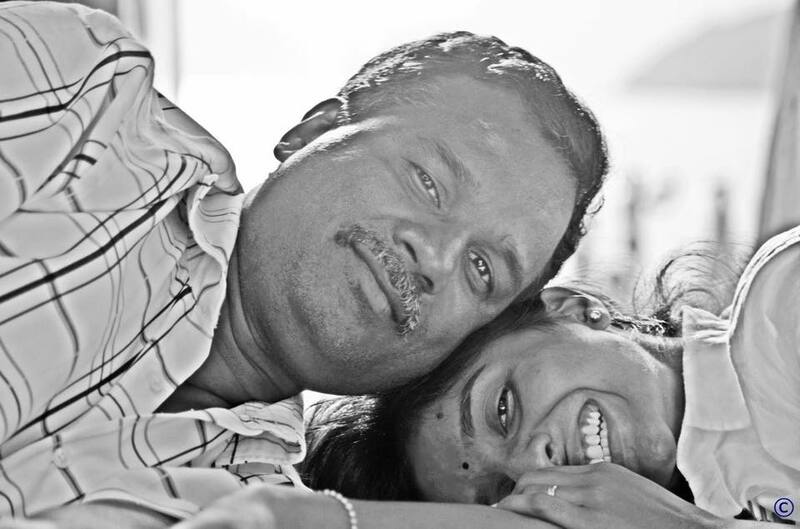 Such is the selflessness of a father, my Appa. What is your father's greatest strength? He is a principle driven, self-made man. 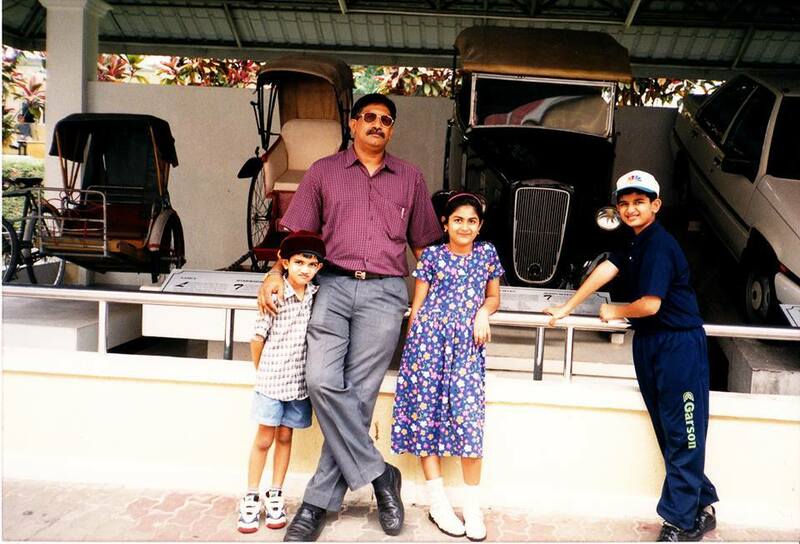 From an orphaned boy hailing from a rubber estate to a Managing Director of a multinational company, his principles in life have made him what he is today and eased his rocky journey. There are just too many things I have learned from just being around him. He is a living motivational book, the kind that changes your life overnight after a read." "My father was a person who stood strong to his principles in life. He dedicated his life to improve the lives of people around him through compassion. He helped a single mom, who had 4 children and was facing financial difficulties, by providing necessary items such as rice, oil, sugar etc. I asked him, why do you go to great lengths to help these people. He then said to me, “If we have the capacity to help those in need, then do it. Service to mankind, is service to God”. As his youngest son, I am truly indebted to my father, as I grew up with plenty of care from him. He made it a point to discipline me since young, and that has shaped me to be the person I am today. He was, in all honesty, a strict father, but one that had a lot patience while dealing with my difficult character. My father passed away peacefully 2 years ago, due to heart ailments. He was, and is still, widely respected by the local community for his commitment in improving the lives of people around him. More importantly, he is still loved by his family, for he is an exceptional role model. A father who loved everyone around him." Charlene Sharmini Fernandes on her father, Mr. Duglas Fernandes. "He is the person I want to grow up to be, cheerful, charming and charismatic. The one who taught me that ‘love’ is more of what you do and less of how often you say it. The reason I believe in superheroes. My first dancing teacher and my best dancing partner. He knows exactly what to say at the right moments regardless of how far we are. 20 years or a 40 years old, I’ll forever be my pappa’s little princess." "Without a doubt he was the best man I have ever had in my life and will always be the best person I've known in my whole lifetime. Which is why losing him four years ago remains the most difficult moment in my life up to today. My dad use to do 2 jobs to help us put through university and why he does that is simple. He knows the pain of not pursuing something you are passionate about and he never wanted us to go through that. He was doing his fulltime job at day and at night he would be on standby for hospital case. If the hospital calls him at 3 a.m. he would have to go and complete it and come back. He did not mind losing his sleep over it just to make sure we could get our degree. There have been days where he hardly slept. That is why I think my father is the greatest man in the world and he is my superhero. His greatest strength was the love he had on us. He wasn't the type who shows it in words but does it by his action. Once again the silent teacher and I realized I have mold myself in his image. 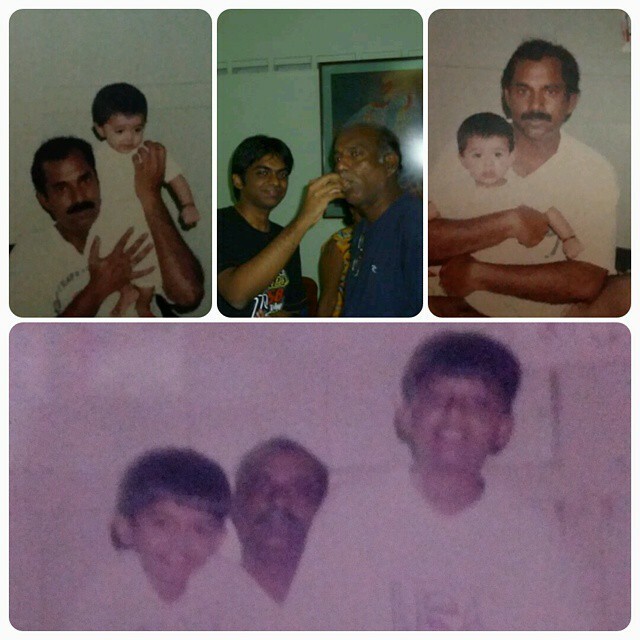 Thank you dad for everything. Thank you for raising me up, thank you for making me the man I am today, thank you for still guiding me although you are no longer alive with us. If I could be half the man you ever was, that will be a great achievement dad. I hope I have made you proud of me pa. Gone but never forgotten. I wish to see you in my dreams every night pa."
Thank you everyone for featuring on my blog. This is truly the most beautiful piece I have came up on my blog. Thank you for giving me the opportunity to share this great stories of your dad. Those who are reading it, if you feel like sharing about please go ahead and do so on the comment section. I would love to read about your dad and would want the world to read it as well. Thank you.